The management of Presco Oil Plc, one of the leading agro industries in Nigeria said it produced a total of 176,477 tons of fresh fruit bunches of palm oil in 2015 farming season as against 162,076 tons in 2014. 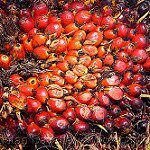 It also announced the production of 39,328 tons of crude palm oil in the period under review as against 27,586 tons in 2014, while 29,159 tons of oil were refined, bleached and deodorized in 2015 as against 25,279 tons in 2014. BusinessDay reports that chairman of the company, Pierre Vandebeeck, made the disclosure recently during the 23rd annual general meeting in Benin, Edo State. Vandebbeck, however attributed the 2015 performance to the continued expansion programmes of the previous years. He added that increased resources would be invested in research and development programmes, and towards the completion of its roundtable for Sustainable Palm Oil (RSPO) certification. “2016 will see further expansions in our oil palm plantation hectarage, additional investments in processing facilities and support infrastructure and commencement of developments in the 14,000 hectares new project site in Orhionmwon local government area for oil palm and rubber. “We have just started what we call our Sakponba estate; it might be the largest in Nigeria and, probably, in West Africa because we are going to plant on 50,000 hectares, of which 5,000 will be oil palm- this would project additional 2,500 jobs. “Increased resources will be invested in our research and development programmes and towards the completion of our Roundtable for Sustainable Palm Oil (R S P O ) certification. “We are committed to research and development; it is at the forefront of new planting material development and has been very successful in increasing the quality of fresh fruit bunches and oil per hectare of plantation. We continue to put efforts to be the leader in research and development. The amount that was spent on research and development in 2015 was N94.2million,” he said.